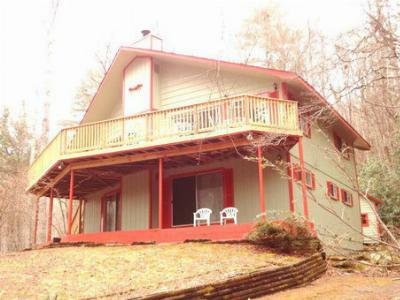 Awesome Cabin with Huge Deck to enjoy the sweet sounds of nature on 1.05+/- Acres. You are surrounded by Mountain Laurel and Native Rhododendron that provides a very low maintenance yard. 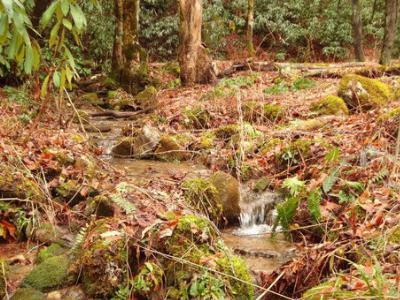 Walk and play in the cool Mountain Stream that borders this property. Enjoy the peaceful ambience as you are surrounded by Mountain Laurel and Native Rhododendron. The epitome of a true Mountain Chalet with Open Floor Plan, Vaulted Ceiling, Rock Wood Burning Fireplace, Oversized Great Room with 2 sitting areas, large Kitchen and Dining area. 3000+ feet elevation with easy access and good parking. Main Level Master Bedroom with 1 Bath. 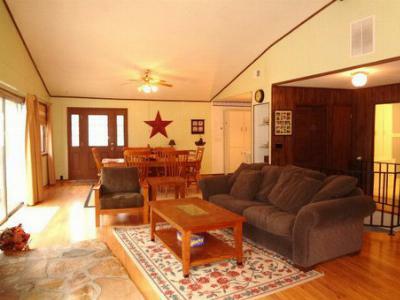 Lower Level has 2 Bedrooms, 1 Bath, Family Room and Big Game Room. Fully Furnished! HVAC & Roof replaced 2006. Over 1700 Square Feet of Finished space plus a Workshop/Storage Building and Nestled between Franklin and Highlands in the Walnut Creek area. Schools servicing this area include East Franklin Elementary, Mountain View 5-6, Macon Middle and Franklin High School all within 15 minutes of this property.